We are in 2016 already! 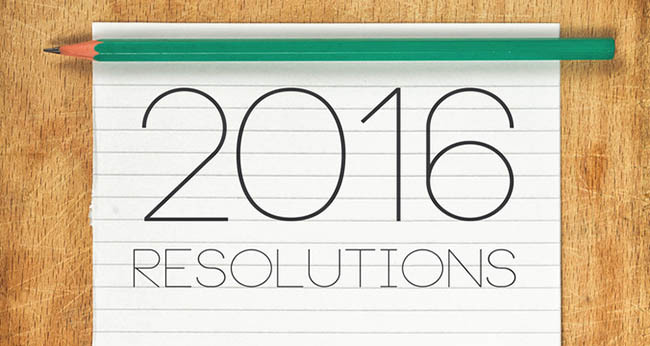 And January is the month of resolutions, but not just any! Here’s our list of the 10 New Year resolutions for the traveler. These, we promise to accomplish! Cut costs to save your holiday budget! That is the motto. 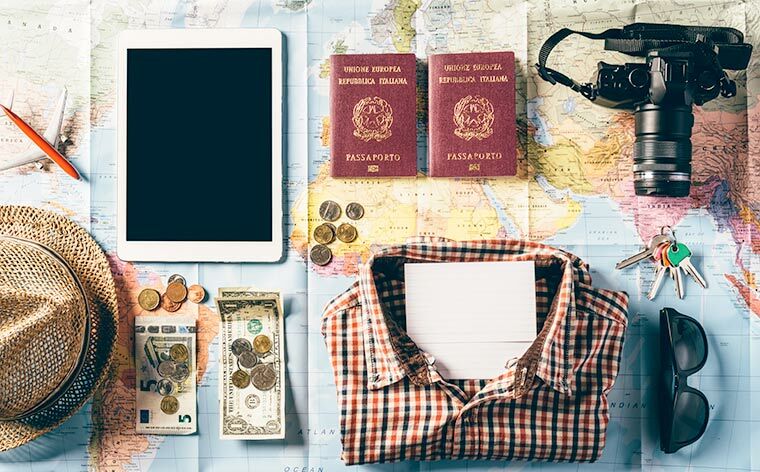 Prepare your trip ahead of time to avoid any unnecessary expenses. E.g. Compare and find the cheapest airline tickets on kenweego.com/en, go to the tourist offices to get discounts on museums or shows, travel outside the peak season and rent your travel equipment online. Following these tips can make a real difference. Mass tourism is not favorable to the preservation of the planet. It leads to excessive trash, pollution, water wastage, etc. With simple actions, however, you can travel in a greener and more responsible way. For example, try using vehicles that do not pollute or that pollute less like electric cars, bicycles or try carpooling. Use biodegradable products, use air conditioning sparingly and avoid touching or getting too close to the flora and fauna. Ah! The famous Route 66, the northern lights, the Holi Festival of Colors… You have dreamt about it for years but in 2016 it is happening! Plan your stay in advance and then take the plunge. We know one thing for sure: You will not regret it! 4 / Be more organized! Because you’ve had it with forgetting your power adapter at home and running out of battery the first day of your trip! Because it drives you insane to realize you’ve left your first aid kit behind at the first signs of Montezuma’s revenge! This time, we get organized and we leave peacefully! Sometimes, we overlook the beauty of our home country. So allow a few getaways close to home. Go to the sea, the mountains or the countryside! Rejuvenate and take time to appreciate anything your close surroundings have to offer. Today, you can find very cheap accommodations, even free sometimes! There are several websites that offer these kind of services: Air B&B to rent a room or an apartment, Couchsurfing (free), Nightswapping (free), guest houses (especially in Asia), house swaps or WWOOFing (work on an organic farm and get free food and lodging). Find out more about it. It’s definitely worth it and it’s also a great way of getting to know the locals. Go paragliding, parachuting, bungee jumping, learn how to dive, swim with dolphins, sharks, walk up a volcano at night, eat an insect or try snake … You understand where we’re getting at…2016 has no limits! Whether it’s for one day or several weeks, give some of your time and energy away to help others! Many associations and NGOs will help you get on your way. Various missions may be available to you: Tutoring, providing medical support, building infrastructure (schools, medical centers etc. ), foreign language teaching, helping children’s development in orphanages, doing prevention against AIDS / HIV etc. You can volunteer in Asia, Africa, South America or Eastern Europe. Watch out for scams, however. You can read more about it here: http://onforb.es/1T4QfNh. There is such a thing called “orphanage tourism” don’t fall into that trap and make sure you find a legitimate place to volunteer. Turn your trip into an unforgettable humane experience! For some, it has become a habit, the purpose of travel itself! For others, it’s not the priority. This year, reach out to the local inhabitants. Forget about the language, cultural or religious barriers…Leave your fears aside and share simple and enriching moments. Playing football with children, discovering ancestral tribes or ethnic minorities, meeting families with different lifestyles than yours. That’s the key to a successful and memorable trip! Use and overuse new technologies! Today with a good camera, you can take quality photos without being a pro. And with a camera, a great video can be made without having all the paraphernalia to carry with you. Share your adventures by creating a blog where you can write about your experience, your feelings, give advice and illustrate with your photos. Many free and easy to use platforms are available to you, such as WordPress or Blogspot. More traditionally, you can make a photo album or keep a travel diary. Take the time to write, add pictures and decorate it. A fun activity to do with your family, and a great way of relaxing and recalling all those wonderful moments! In 2016, become a true source of inspiration!